School spirit soars and the cheers from parent section are thunderous. That is your child down there on the field, making the play of the game. Nothing brings you more pride. But what happens when a concussion turns your pride into horror? In that case, it is possible that an experienced personal injury attorney may be necessary. According to the Southwest Athletic Trainers’ Association, high school athletes experience 2 million injuries resulting in half-a-million sports-related doctor visits and 30,000 emergency-room visits every year. Between 2008-2011, there were over 200 fatalities among young athletes in this country. It goes without saying that athletes are susceptible to all kinds of injuries, not the least of which are concussions. Not all concussions result in a loss of consciousness. 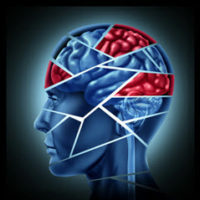 Although concussions are associated with hits to the head, hits to the body and whiplash are also associated with concussions. Of all brain injuries caused from a premature return to activity following a concussion, half result in death. Female soccer players experience 40 percent more concussions than their male counterparts in high school, and female basketball players suffer 240 percent more concussions than their male counterparts. Half of high school athletes do not even report concussions to their coaches in an endplay to stay in the game. When athletes do report a head injury, the sideline assessment used to determine the athlete’s condition fails to catch 40 percent of concussions. Over 15 percent of football players who suffer a loss-of-consciousness concussion return to the game that same day. The number of catastrophic football injuries among high school players triples that of college athletes. When high school athletes experience concussion, they are three times more likely than other players to have another concussion in the same season. If your child experienced a traumatic brain injury, it is important that laws and due care were followed in order to offer maximum protection. If that is not the case in your scenario, personalized, aggressive legal representation by the knowledgeable team at The Law Offices of Robert W. Elton will help you pursue the justice you deserve. Contact us today for a free, confidential consultation.